These days, travelers have more options than ever for getting around, including ride-hailing services like Uber and Lyft as well as short-term-rental companies like Zipcar. Many people still prefer to rent a car the old-fashioned way, however, and it remains the better (and usually cheaper) option if you plan on doing a lot of driving or want a special kind of vehicle, such as a convertible or full-size truck or SUV. It takes legwork to find the best price on a rental car. Discounts can be eaten up by hidden fees or add-ons if you're not careful. But deals are out there — if you know how to find them. We analyzed prices, common fees, member rewards programs, and available discounts at some of the most popular car rental companies to determine which one is likely to offer the best bang for your buck. We also came up with some general tips for understanding and reducing costs no matter which company you choose. There are more than a dozen car rental companies with a national presence, yet just a handful of corporations control most of them. Among the 14 companies we researched for this survey, Enterprise, National, and Alamo all have the same parent company, and so do Avis, Budget, and Payless. Hertz, Dollar, and Thrifty are corporate siblings, as are Advantage and E-Z Rent A Car. Ace, Fox, and Sixt are independent. Enterprise, with about 5,800 locations in the United States, is by far the largest; runner-up Hertz has just over 3,000. At the other end of the spectrum, E-Z Rent A Car has only about 30 locations and Ace has about 50 outlets. In other words, while you're usually guaranteed a wide choice of car rental options at nearly every major airport in the country, your choices narrow in smaller cities or away from the airport. Which company has the best car rental deals? Determining which company will give you the best price on a rental isn't easy. Rates are notoriously fickle and extremely responsive to supply and demand. They may vacillate from day to day at the same location, and the price in one locale may be significantly higher or lower than the rate elsewhere. Areas with lots of competition (think large cities and major tourist spots) may offer lower rates than smaller towns with fewer companies to choose from. Weekdays may be cheaper than weekends, depending on location, and rates may jump at high-traffic times, such as Thanksgiving or spring break. To get a general sense of each company's rates, we priced out a rental starting at major airports in Chicago (ORD), Los Angeles (LAX), and Orlando (MCO) one month in advance of a hypothetical trip in mid-February. We got quotes for three types of vehicles — compact, midsize, and full-size — and looked at prices for both daily and weekly rentals. In our survey, the smaller companies offered the best prices. Ace returned the cheapest rates in most cases, although Advantage and E-Z were often competitive. All three providers charged between $45 and $60 a day for a compact car in each of our locations. National was consistently the most expensive option, quoting prices of $107 in Orlando, $100 in Los Angeles, and $143 in Chicago for a similar rental. Hertz, Enterprise, and Avis also frequently appeared on the higher end of the price spectrum, but their rates varied more by location. For example, Enterprise came in at $66 in Orlando but otherwise was among the most expensive, matching National at $100 in Los Angeles and charging $110 in Chicago. In the middle of the pack, Budget was more expensive than fellow "economy" brands Thrifty and Dollar in all our scenarios but a compact car rental in Chicago. European company Sixt offered a fairly reasonable daily rate in Chicago ($61 for a compact car) but quoted relatively high prices in the other markets ($83 in Orlando and $78 in L.A. for a compact). Economy cars aren't always the cheapest. All the major car rental companies offer a range of vehicles, from economy to full-size sedans, and most also offer trucks, vans, SUVs, and even high-end luxury models. However, if you're looking for the greatest variety, latest models, and newest vehicles, you're more likely to find them at the flagship car rental companies, such as National, Hertz, and Avis. Some of the bigger companies, such as Enterprise and Alamo, also offer hybrid and electric models. Cheaper car rental companies may have vehicles with more miles on them or hand-me-downs from the big brands. While it used to be that the lowest vehicle class was always the least expensive to rent, that's not necessarily the case these days. We often found that so-called "economy" cars were more expensive than standard compact cars. And choosing the smallest car option also doesn't guarantee the lowest rate. In one such case, for our hypothetical trip to Orlando, Avis quoted a prepaid weekly rental price of $390 for a compact car, but the roomier midsize and full-size options were cheaper: $356 and $368, respectively. We found similar savings on larger vehicles in the other destinations as well, particularly for midsize versus compact cars. Should you prepay for a rental car? You can get a cheaper rate by reserving a car online and paying up front. In our survey, the savings averaged about 15 to 20 percent, depending on the vendor and vehicle. The downside is that you typically have to pay a fee if you cancel the reservation. The penalty ranges from $50 to $150 depending on the company. (The fee might be waived if the change is due to a flight cancellation, as long as you notify the company before the scheduled arrival time.) Keep in mind that rental rates fluctuate widely, though, so if you're booking far in advance, it makes sense to track prices for a bit before hitting that "pay now" button. Watch out for taxes, fees, and other extras. No matter where you rent a car, you have to pay sales tax on the vehicle, and many municipalities tack on additional travel and tourism taxes. 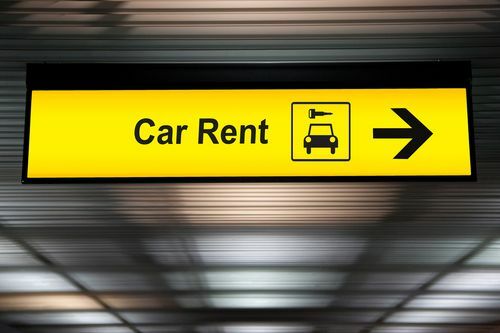 If you rent at the airport, you're subject to multiple facility fees, as well. All told, these charges can add 15 to 25 percent to your total bill, depending on location. Most rental companies are good about breaking down taxes and surcharges when offering quotes and display the full rental price upfront when you make a car selection online. However, a few companies — Avis, Budget, and Sixt — don't show the full price until after you've chosen a vehicle, which can lead to disappointment when you discover that the "cheap" rate you've found isn't so cheap after all. Also, expect a rental deposit of $200 or more to be charged to your credit card and removed after you return the vehicle. Satellite radio, hands-free navigation, on-board Wi-Fi, toll passes, car seats, roadside assistance, and even carbon offsets are common add-ons that don't come cheap and may not be necessary. For example, adding GPS navigation — already on any smartphone — increased the bill for a sample week-long rental at Enterprise by $75. The cost of car seats, especially when traveling with multiple kids, can end up exceeding the basic daily rate for the car. It's probably best to bring car seats from home, if you can manage it (most airlines don't charge to check them). If you're an AAA member renting through Hertz, you can get one child or infant booster seat for free. You (usually) don't need to buy rental car insurance. If you don't already carry car insurance as a driver, or if you have only a basic liability policy, you may be compelled to buy supplemental insurance at the counter in some instances. But personal car insurance policies often extend to rental cars. And many major credit cards also offer car rental insurance as a complimentary service, provided you use that card to pay for the rental. It pays to look at your policies in advance to see what kind of coverage you may already have. If you do opt to buy short-term car insurance from the rental company, be prepared to pay dearly for it. Opting for a collision damage waiver, personal injury protection, and liability coverage can add almost $50 per day. Adding a driver is sometimes free. By law, car rental companies cannot charge an extra-driver fee for a spouse in California, Illinois, Missouri, Nevada, Oregon, or Wisconsin, so long as the second driver meets the same basic requirements for rental (a valid driver's license, etc.). Otherwise, expect to pay an additional-driver fee of anywhere from $3 to $13 or more per day. Become a member to save on rentals. Most rental companies offer some kind of rewards program, although not all of them are equally rewarding. Enterprise and Avis, for instance, both offer one point per dollar spent, but Enterprise offers a free rental day with 400 points, while Avis requires 700 points. Ace gives members the option of redeeming credits for future car rental discounts or merchandise like gift cards and video game consoles. Other membership benefits may include free upgrades, special one-time deals, skip-the-line arrangements, and no additional driver fees. You may qualify for other discounts. Most car rental companies also have agreements with airline frequent flyer programs and hotel reward programs that offer reduced rates or the opportunity to earn miles when you rent a vehicle. Members of Delta’s SkyMiles program, for example, can get discounts at Hertz, Dollar, Thrifty, Alamo, Enterprise, National, and Sixt. Hertz, Thrifty, and Dollar offer discounts to AAA members. Some credit cards confer car rental benefits, too. For example, American Express cardholders are frequently eligible for upgrades and discounts at a number of the major car rental companies. Warehouse club membership also may come with car-rental perks: Costco members can take advantage of special deals from Alamo, Avis, Budget, and Enterprise, and BJ's members have even more options for savings. Current and former members of the military qualify for reduced rates at most major rental companies. Avis, Budget, and Payless give AARP members a reduced rate, and Hertz has its own program that offers benefits to travelers over 50, including discounts of up to 20 percent. Thrifty, E-Z, and Sixt provide small senior discounts. Sometimes these discounts aren’t as good as other offers available to the general public, however. It’s always worth searching online for promotions or coupon codes. Try running a search through a travel site like Priceline or Expedia, which might have bundled offers or other bargains that can increase savings (not to mention help easily compare rates across rental car companies). Keep an eye out for offers on the companies’ websites, as well — oftentimes you won’t have to do much searching, because they appear as pop-ups or on the homepage, front and center. Most car rental companies dangle the option of saving by booking a "manager's choice" rental, meaning you get whatever is on hand. The rate on these mystery vehicles is on par with the cheapest vehicle class, but you could end up with anything from a compact car to a large pickup or van. (You're getting the leftovers, not the pick of the litter.) The upside is that you aren't obligated to rent that vehicle should you be unhappy with your choice, although you may end up paying extra to get a different car. Some rentals come with mileage limits. Most vehicles come with unlimited mileage, meaning you could (theoretically) drive from coast to coast without incurring any penalties for exceeding a daily or weekly allowance. But some rentals — high-end luxury vehicles, full-size SUVs, and cargo vans, for example — come with mileage thresholds, usually 150 miles a day. Some special promotions, like discounted weekend rentals, also come with mileage restrictions. Exceeding the limit results in an additional per-mile fee, which varies by company. You can rent a car one way. All the majors offer one-way rental options, although not in all cities, and terms and conditions may differ. Alamo, for example, offers deals between popular travel destinations, such as Miami and Key West or Seattle and San Francisco, for as little as $10 a day. Avis takes a slightly different approach, touting one-way and short-term deals as an alternative to using car-sharing services or relying on Lyft. For one-way rentals picked up from the airport and dropped off at a downtown office, or vice versa (depending on the day of the week), you get the car for 12 hours with 150 miles and a free tank of gas. Daily rates range from $10 to $15, which is comparable with Zipcar. Don't forget to fill up before returning a rental car. Car rental companies want their vehicles returned with the same amount of gas they had when they were rented, and usually that means a full tank. (The amount should be spelled out on the rental agreement you sign before leaving the lot.) That means you've got two options when returning the rental: refueling it yourself beforehand or letting the rental company do it. Most companies offer the option of paying for a full tank of gas up front at a per-gallon price that's competitive with local stations. If you skip this option but return your rental without filling up the tank, you'll be charged a considerably higher per-gallon price — up to three times the current pump price. So, what are the best car rental companies? Professional reviews of car rental companies are few and far between. J.D. Power and Travel & Leisure magazine both conduct annual consumer surveys, while Top Ten Reviews is the only prominent review site that rigorously researches and analyzes car rental prices. There are plenty of consumer ratings of local rental outlets on review sites like Yelp, but these tend to be only from unhappy customers who have had bad experiences, making it difficult to make an objective assessment of what the average traveler can expect. The loudest applause was given to franchises that abide by the original quoted rate, have friendly agents at the counter, and help customers with problems or requests. The companies that receive poor ratings use aggressive sales tactics to peddle extras like insurance, charge customers for unforeseen extras when the car is returned, or give customers cars other than the type they reserved. Ace $13 Full refund up to 24 hours in advance; no refund if within 24 hours. Rental Genius: 1 point per dollar spent; redeemable for rewards such as Sony PlayStation, Visa gift cards, and carbon offsets starting at 300 points. Advantage $13.50 $50 fee; no refund if within 24 hours Expressway Program: Perks such as upgrades, accessories, and free rental days based on number of rentals and reward level (Base, Silver, Gold, Platinum). Avis $13 $50 fee; $150 if within 24 hours Avis Preferred: 1 point per dollar spent; free rental day with 700 points (also Preferred Plus). Budget $13 $50 fee; $150 if within 24 hours Fastbreak: Budget Bucks can be used for discounted rentals; expedited checkout and dropoff. Dollar $13.50 $50 fee; $100 if within 24 hours Dollar Express Rewards: 1 point per dollar spent; free rental day with 500 points. Enterprise $12 $50 fee; $100 if within 24 hours Enterprise Plus: 1 point per dollar spent; free rental day with 400 points (also Silver, Gold, and Platinum). E-Z $13.50 $50 fee; no refund if within 24 hours E-Z Money: Points toward future rental car discounts, accessories, and digital currency credits. Fox $12 No refund Fox Rewards: 4 points per dollar spent; redeemable for FoxBucks rental discounts ($20 reward at 1,600 points), or merchandise gift certificates ($25 reward at 2,500 points). Hertz $13.50 $50 fee; $100 if within 24 hours Hertz Gold Plus: 1 point per dollar spent; free rental day with 675 points (also Five Star and President’s Circle). National $12 No restrictions on regular reservations (prepaid reservations can be made only via 3rd parties; individual policies may vary) Emerald Club: 1 credit per rental; free rental day with 7 credits. Payless $13 $50 fee; no refund if within 48 hours Payless Perks: Instant savings and special deals. Sixt $13 3 days of rental fees (no refund for rentals less than 3 days) Varied benefits with Express, Gold, Platinum, and Corporate Sixt membership. Thrifty $13.50 $50 fee; $100 if within 24 hours Blue Chip Rewards: 1 point per dollar spent; free rental day with 500 points. *Average fees. Exemptions, lower fees in some states, and total fee limits may apply. **Individual credit card, airline, and hotel partners are numerous and not included here. Most companies also offer benefits for members of the military, and some provide discounts or perks to government employees, union members, and/or members of select travel associations. Online sources for off-brand replaceable razor heads offer significant savings. Ticket prices for rock concerts often vary by venue. Check listings in a wide geographic area to find the cheapest.